I went for a system where each panel has a separate ‘optimiser’ fitted. Reason for this is that I was surprised to find that normal systems are connected in series so if one panel fails or is underperforming then the whole array is reduced down to the same level of the underperforming panel. Individual ‘optimisers’ on each panel prevent this happening and combined with a ‘Solar Edge’ inverter, (which monitors and converts the DC from the panels into AC for the mains), allows access to the performance data via the Internet. Cost was £6,200 as the optimisers and the fancy inverter push the price up, I also went for the more expensive ‘easier on the eye’ all black LG panels. 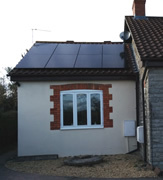 The return on investment is expected to be around £400 pa FITS (Feed in Tariff), £100 for what I put back into the grid and £200 saving on electricity bills. So payback period is around 9 years, the system is guaranteed for 20 years and the FIT for 20 years so can’t really go wrong as an investment. I’ll let folks know via this diary how I get on. Only 2 weeks left to join the collective switch! Merseyside householders have just two weeks left to join the energy switching scheme that aims to cut household bills. Over 1,500 people have already joined the Merseyside Collective Switch. With only two weeks left, householders are reminded to register to benefit from the collective switch offers. 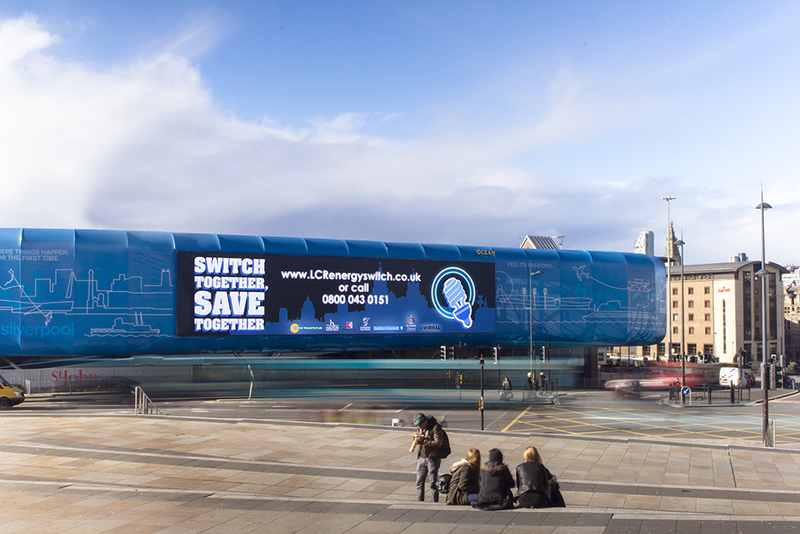 The Switch Together, Save Together scheme is organised by local charity, Energy Projects Plus, together with the six Merseyside local authorities. It aims to reduce people’s energy bills by using collective buying power to negotiate cheaper tariffs from energy suppliers. 4,600 residents joined the first collective switch which took place in June and saved Merseyside residents a total of £76,435 on their energy bills. This switch aims to be even bigger and better. By joining up with other collective schemes across the country, the partners hope to negotiate an exclusive cheap tariff. Householders are invited to register their interest by 10th March 2014. By registering their details, householders will help give weight to the scheme by increasing its bulk buying power. It’s free to join and householders will be able to see how much they would save before they decide if they want to switch suppliers. There is no obligation to switch. Anyone can join the collective switch, regardless of current supplier or payment methods. Those who have never switched their energy supplier or who haven’t switched in the last 12 months, are likely to benefit most. The scheme aims to make it safer and easier to switch supplier, and advisors are on hand to offer free and impartial help every step of the way. The last collective switch resulted in offers from Scottish Power, Npower, The Co-operative Energy and Good Energy, with up to £50 cashback against their tariffs for those who joined the collective switch. Offers were available on a variable tariff; fixed tariffs, quarterly billing tariffs and for prepayment customers. Merseyside Switch hits the big screen! 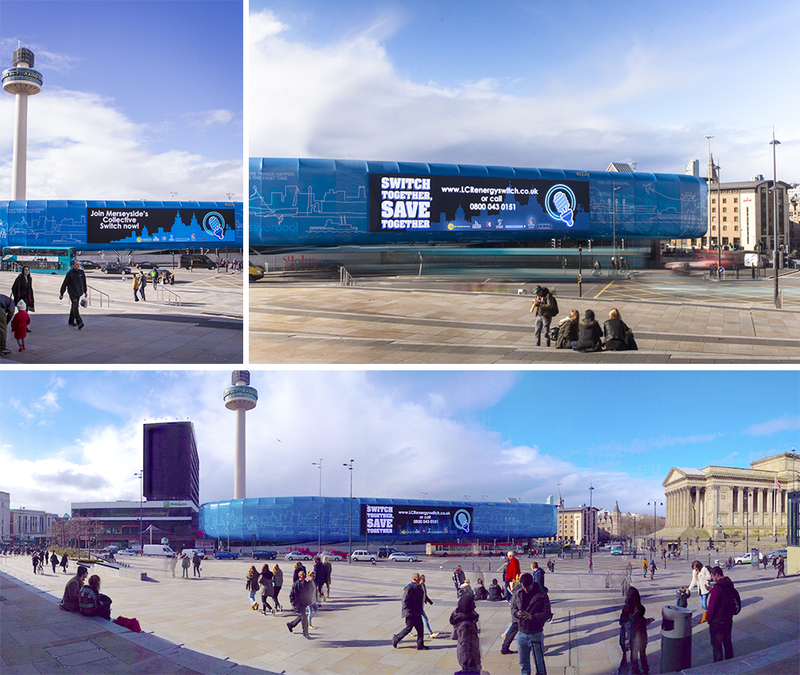 The Merseyside Collective Switch is now being advertised on the ‘media wall’ outside Lime Street station in Liverpool city centre. The screen is the largest full motion digital screen in Europe and the Collective Switch advert is being run on it once every minute. The Merseyside Collective Switch is delivered by Energy Projects Plus in partnership with the six Merseyside local authorities. It’s not too late for you to be a part of it. Register today at www.LCRenergyswitch.co.uk or call the Save Energy Advice Line on freephone 0800 043 0151, where you can also get free and impartial advice about saving energy at home. The Environmental Management Team of Energy Projects Plus is pleased to announce that its ISO14001 certification as been renewed for 2014. A successful organisational audit was carried out by the external certifying body, QMS, in December 2013. There were no areas of non-compliance to report and all the documentation was up-to-date and correct. Thank you to everyone who has contributed to our high environmental awareness and standards.